Birmingham City owner Carson Yeung has stepped down as chairman and executive director of the club's holding company, Birmingham International Holdings Limited (BIHL). This latest announcement on 53-year-old Yeung's future was made in a statement to the Hong Kong stock exchange. Yeung, Blues' owner since 2009, is the football club's major shareholder. takeover. Deal approved by Stock Exchange. He is awaiting the verdict, due on 28 February, in a money laundering trial in Hong Kong, an offence he denies. Yeung has been succeeded as BIHL chairman by Cheung Shing, another of the company's executive directors. Ma Shui Cheong, who has been appointed vice-chairman of BIHL, has also been given a place on the board at St Andrew's. Yeung remains as club president, with the rest of the board made up of his son Ryan, acting chairman Yeung and Monday's two new appointments, Ma and Greek finance specialist Panos Pavlakis. 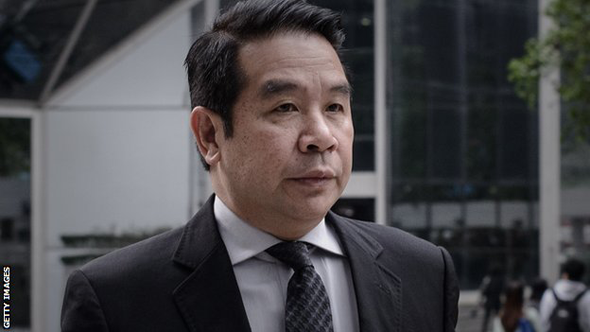 But, if Yeung is convicted of money laundering, he would have to resign from the Blues board or face being removed by the Football League under their 'fit and proper persons' test. BIHL expressed its gratitude to their former chairman in a prepared statement, which said: "Mr Yeung, with his foresight, aspiration and clairvoyance, has steered the board successfully through landmark projects such as the acquisition of Birmingham City Football Club, for which the board is profoundly indebted. "Mr Yeung unequivocally confirms that he has no disagreement with the board and that there are no other matters relating to his resignation that are required to be brought to the attention of the shareholders of the company." Birmingham, who were relegated from the Premier League in 2011, currently stand 18th in the Championship, six points clear of the relegation zone ahead of Saturday's away game at 22nd-placed Charlton Athletic.